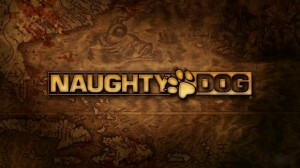 Uncharted developer, Justin Richmond has shared his thoughts on the Wii U in an interview with NowGamer. Though he admitted his interest in Nintendo’s newest home console he said that there was nothing the Wii U had that the PS3 and the Vita didn’t. Sony are looking into allowing players to play games on their PSVita and then continue to play games on the television using the PlayStation 3. 1080p, all games on controller, and larger disc space. Also you have to take in some market Facts: Since not everyone will have Ps vita and Ps3 then a chunk of the market is gone, which means developing games that require both is not a good business tactic. Everyone who owns a Wii U will have both which = more games and developers. It’s also cheaper and stronger. Exactly!! Guys like those two just tick me off!! 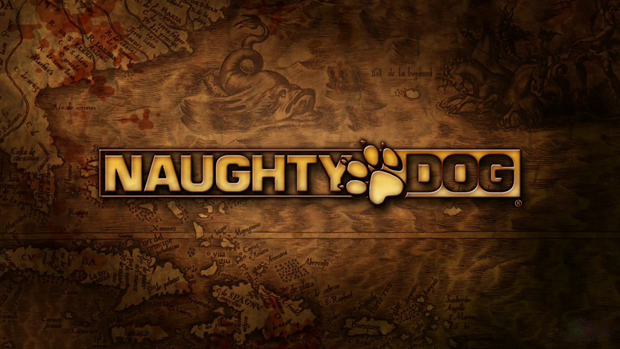 I guess Naughty Dog inhaled to much of Sony’s gas! I hate how sony ALWAYS copies Nintendo and yet their fans still think they’re better than Nintendo. Heck, even their first console(PlayStation) was originally supposed to be a Nintendo console so without Nintendo, sony probably wouldn’t even be in the gaming industry. As for the whole wii u versus ps3 debate, here’s my answer: I’ll be selling my ps3 the day I get my wii u. Friggin ps3 is the only system I ever regretted buying. Good point (about the disk size). At least they say they like it and didn’t bash it like Tretton. From what has been seen so far ps3 and vita may be able to do the things the wii u could do. But, it is limited as the ps3 and vita is sold alone each with its own price. The wii u and its controller are in one package for one price. This means that not all people who has or will buy a ps3 will buy vita and people who buy vita will buy ps3. Also, info on the wii u is very small as of right now. Yes. Yes it does. Do you know what it has that the PS3 and Vita don’t? If you /really/ need to ask, you either didn’t see E3 or you are mentally retarded *cough controller cough*. Now, of course, there is the factor of “That’s not such a big deal”, but tell me what the PS3 has that the Wii U doesn’t? Let them keep on sucking up to Sony, we don’t need them. Yes because all those PS3 + PSP games went down really well. As did those GC + GBA games. And of course a system designed to be its own thing, not specifically designed to be a controller for the system it links with is going to be just as good. And of course such tiny things as multitouch are such big strange, big problems. Especially when having… what? The ability to zoom in on something with two finger pinches? On the screen instead of pressing one of the many buttons is such an important feature to have that you’d need to increase the whole price of the controller and possibly decrease the accuracy of the touch screen (because of advantages of resistive over capacitive or vice versa or whatever), which is obviously far less important than actual accuracy, unless you increase the price even more to compensate? Are sony really going to try to compete with what the wii u offers by trying the already failed PS3 + PSV connectivity (already failed when there are quite a few games that already have PS3 + PSP connectivity yet we don’t see any of them getting anywhere) and already failed GC + GBA connectivity like schemes? one is a handheld the other a IN BOX controller! The Wii U directly streams games into the controller. How can the PS3/Vita even compare when both of them are autonomous platforms and function differently. You may be able to “tranfar” Metal Gear Solid: Peace Walker from each other, but can you play them at the same time? Also can the PS Move interact with the Vita? I highly doubt Sony has any sort of unified and consistent design. As some of you have pointed out, it will have the same connectivity as the GameCube and Game Boy Advance. I kept saying the 3rd party’s wouldn’t get it. They didn’t get it, despite being the professionals at the reveal at E3 and they still don’t get it, and it’s a good chance they’ll never get it, even when others who HAVE got it, and develop it, show it to them. It IS interesting to see which developers share Sony’s, executive level’s highly developed sense of elitist doucebaggery though. I hoping that Wii U will be like the wii where it NEVER breaks down compare to the PS3. My friend had to buy to a year cuz his first one overheated and went to the world of unicorns and rainbows.. And my wii has yet to break down.. Sony is always copying nintendo, i wish nintendo sues them for the idea of stream games to your controller. Also Wii U has more power so their carptastic game would looks less carptastic when it lags. Mmmmm…. This idiot don’t think about the required stream of data between PSVita and the PS3 to work at the same as Wii U.
Nintendo console again is mainly based on the remote control. The Wii U and handset are a dedicated unit, devs do not have to worry that a lot of gamers might not have or want both, so from a developers point of view that must be a big plus. Actually, this guy’s wrong. He probably hasn’t dealt with the Wii U firsthand or has done his homework on Wii U (like so many of these developers, surprisingly), so he’s not aware of the latency of the Wii U controller. The PS3 and Vita CANNOT do what the Wii U does because the Vita is not designed to handle the same kind of latency with PS3 that the Wii U controller is designed to handle, and PS3 was not designed to support Vita just like a Wii U controller. The PS3 and Vita could not pull off something list that Ghost Recon trailer we saw for Wii U–not seamlessly, anyways. For what Wii U does best, you need a Wii U controller (or a clone, which Sony will inevitably create). I could use the controller as a second screen while using online video chat, quickly check my scores online with the browser, and then take the entire game onto the controller at the drop of a hat, and the whole experience would be smooth. You can’t do this with PS3 and Vita that same seamless way–they simply weren’t designed to work that way. They’re more like the GameCube/Game Boy Advance connection than a Wii U controller. And as some of you have already said, you have to BUY the Vita first before you can use it like a Wii U controller–not every PS3 owner wants a Vita. EVERY Wii U owner will already have the Wii U controller, and for about $350 (most likely price).